Because we do our best to make a perfect stay for our customers, they do reward us with their very positive comments ! The Heitiare apartment, always very appreciated by the vacationers, is the perfect place for a short term rental in French Polynesia, very close to downtown Papeete. "Ah Tahiti! Aurelia, our hostess, was communicative--always available for questions, was accommodating--arranged for our check in early (our flight was earlier than stated check in). The 1 bedroom flat is an amazing contemporary, clean, elegantly and efficiently minimal in design--loved it. The kitchen appliances were new and great quality. They equipped the kitchen with water purifier, hot water pitcher, coffee maker...The privacy aspect--the gate, separate entry, private yard were so appreciated. Yes wifi and laundry! The location was in a quiet, clean, residential area so near supermarket and walking distance to the heart of downtown. 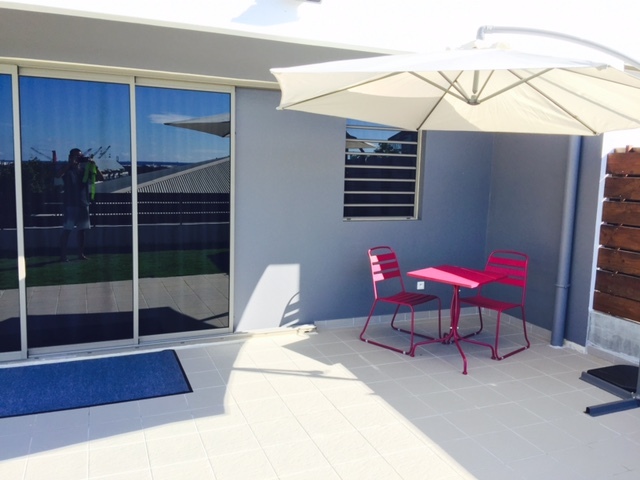 We would love to visit again and if in Papeete, this would be our first choice "home". It's whale season! A unique and stunning opportunity to approach these wonderful mammals. 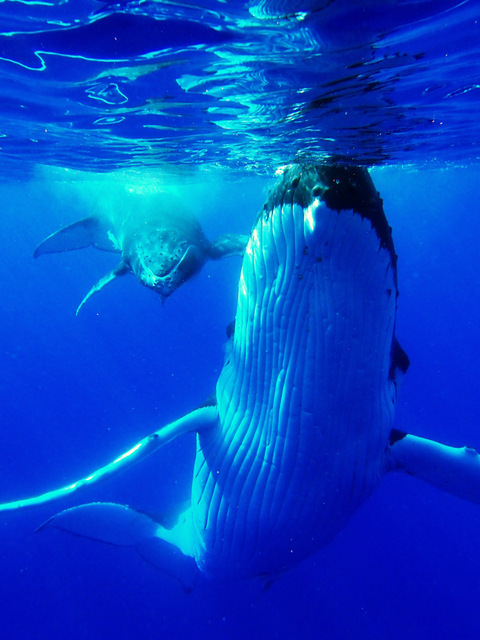 Humpback whales come to spend five months in Polynesia to breed and give birth. The rest of the year, they are in Antarctica for food. Whale season has always punctuated the year Polynesians. It begins in late June, early July when "leatae", also called the whale tree blooms to announce the arrival of the whales in the waters of Tahiti. Latest whales leave Polynesia late October, when the calves, born last, have enough strength to begin their migration to the Antarctic. Want to see them by yourself? Our personalized service will organize you the best whale watching tour ! 99% who stayed in a professionally managed home had a positive experience during their last visit. 95% of vacationers can think of at least one reason why they would choose to rent from a management company over the owner. Top reasons included the company resolving issues quickly and providing a 24/7 contact. Nearly 70% of travelers who have tried renting from a professional manager over renting directly from an owner prefer the peace of mind that comes with renting from a professional manager. 89% of vacationers who have never rented a vacation home would consider doing so, but fears associated with renting from a do-it-yourself homeowner stop many from trying. 62% of all vacationers worry about not being able to get problems solved quickly. 46% percent are not confident that they’ll get what they anticipate when renting directly from an owner. 45% of all vacationers worry about the safety of an owner-managed property. 49% of all vacationers look for a name they can trust when booking accommodations. 68% who have stayed in a professionally managed vacation rental and one managed by the owner prefer the managed option. 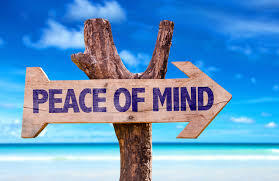 Nearly half of all vacationers would choose a professionally managed rental over owner-managed because it provides greater peace of mind. "Ideal location for a stressless stay"
Came to Papeete for professional reasons and for a period of one month, it was important for me to be a relaxing environment away from the hyper-starred hotels that offer no interest in my opinion. In fact, I prefer to feel like home when I returned from a long day of work. And so in my case, this property has fulfilled all its promises. Its location, located high in the entrance of Papeete, with a lovely view from the large bay window overlooking the terrace where it is nice to have breakfast and relax in the evening. The interior volume is more than respectable, a fully equipped kitchen where nothing is missing, a large refrigerator to store there all of his food and drink (contrary to what one can find in other locations), a brand new washing machine, a bedroom with a comfortable bed, a spacious bathroom, a wide space for the car ... in short, nothing is missing. Now about the reception I was given by the agency My Home in Tahiti. I would not do generality because I have not met a single person of this agency, namely Aurelia. I would so the words professionalism, availability and kindness are made to it. Working for over 23 years, I have traveled extensively, and I can say that it is rare to come across a person who handles both comfort of its customers. If I pass through Tahiti, I now know who to contact to be sure to have the perfect accommodation, and to benefit from a seamless service Again thank you.